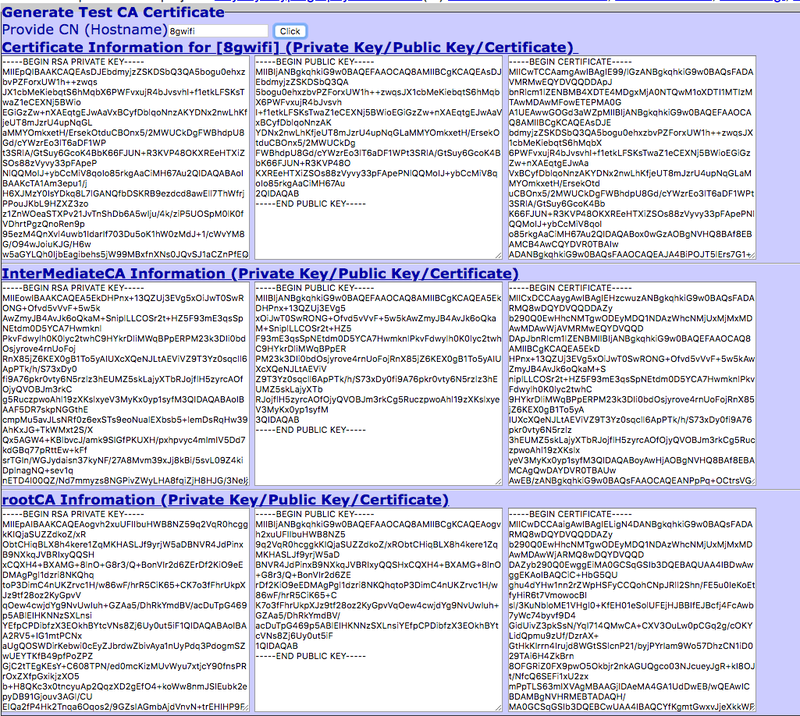 The CA issues a public key certificate for each identity, confirming that the identity has the appropriate credentials. 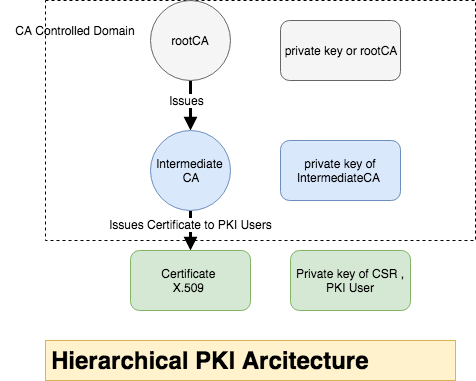 PKI Users are organizations or individuals that use the PKI, but do not issue certificates. Generate the Certificate Signing Request. Maintain the Certificate obtain by the CA. intCA will generate CSR and get it signed with rootCA and set Validity for Longer Year. There are ten common fields, six mandatory and four optional. Create a file for the CRL number. This file should contain the text 00 only. crl_openssl.conf: create and write the following contents into a crl_openssl.conf file.